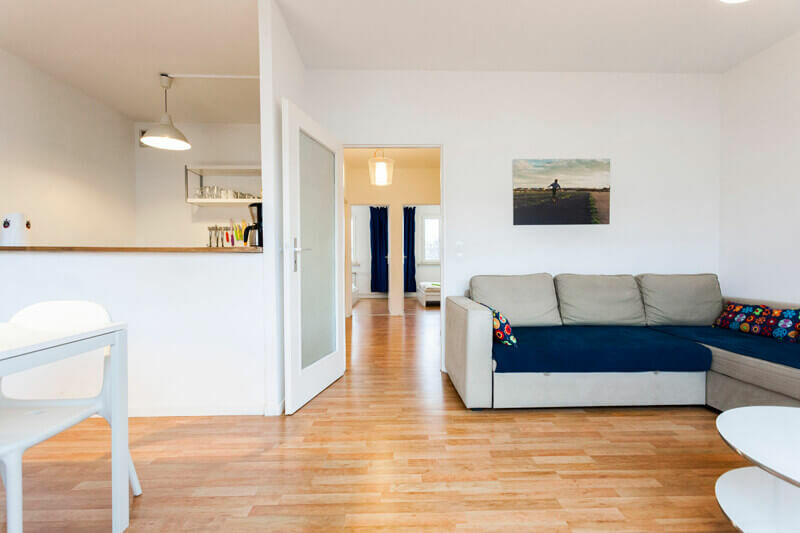 Your furnished apartment in Berlin. All our apartments are bright, clean, modern and conveniently located. Wireless internet, TV, fully equipped kitchen, vacuum cleaner, iron & ironing board and washing machine are available. No hidden costs. Internet, TV license, City Tax, water, heating and eco-friendly electricity are included. We arrange cleaning, laundry and parking. Optional: cot and high chair. Very light apartment on the 5th floor with combined living and dining area, 55m2. With a view of the famous television tower! Very light apartment on the top (10th) floor, 67m2. With a great view of the famous television tower! 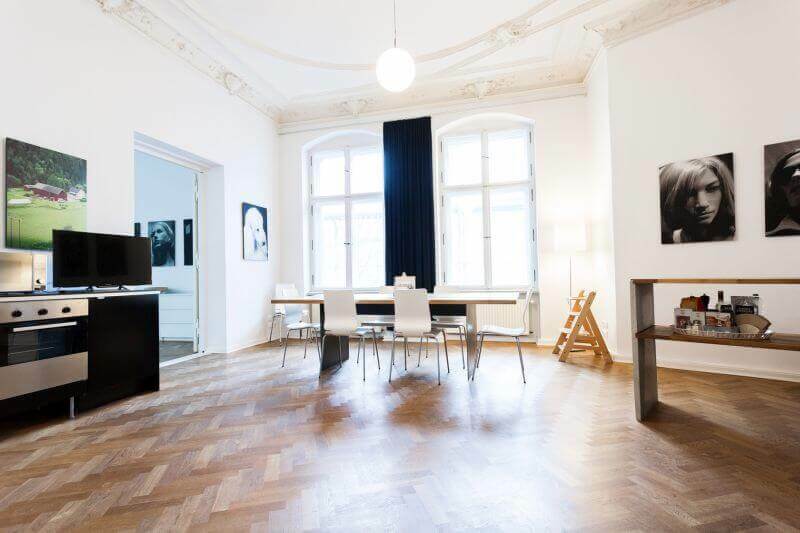 Beautiful, 160m2 apartment in an older building with stucco and high ceilings. The nicely renovated living room is perfect for friendly get-togethers. 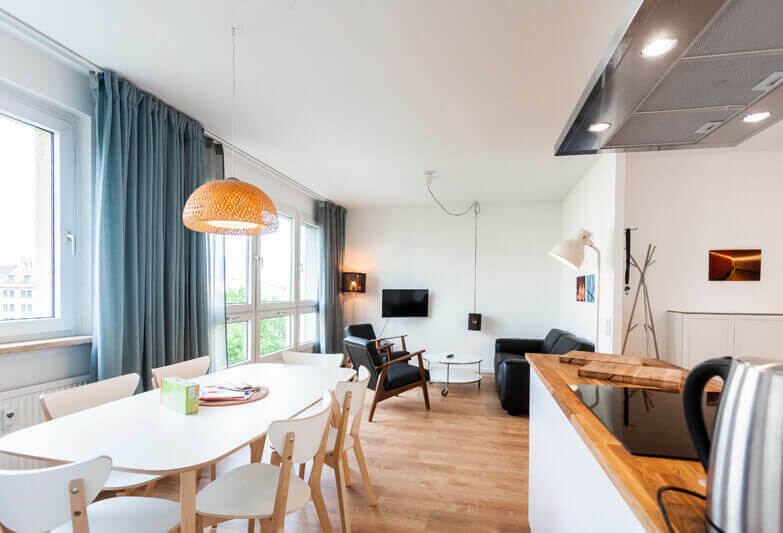 This 67m2 light and clean apartment is located in a tranquil area in the heart of Berlin. 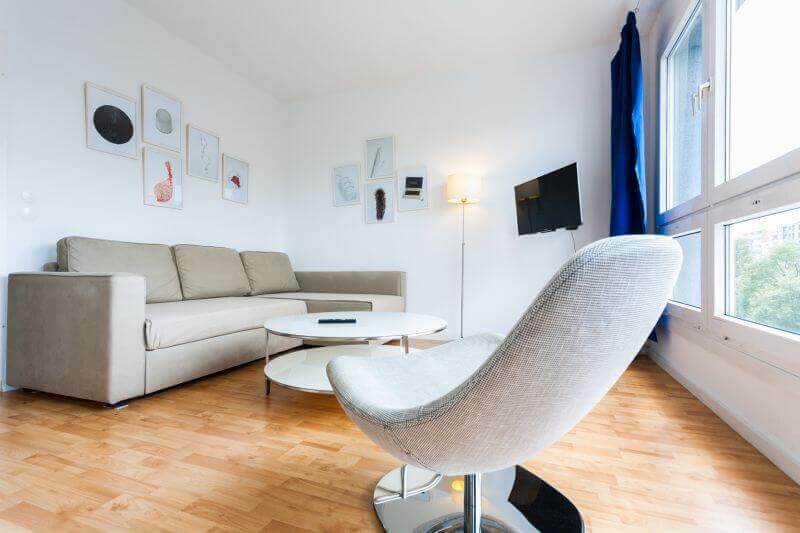 Conveniently situated for transport connections, close to Alexanderplatz on the 7th floor. We have a total of 10 apartments available furnished. 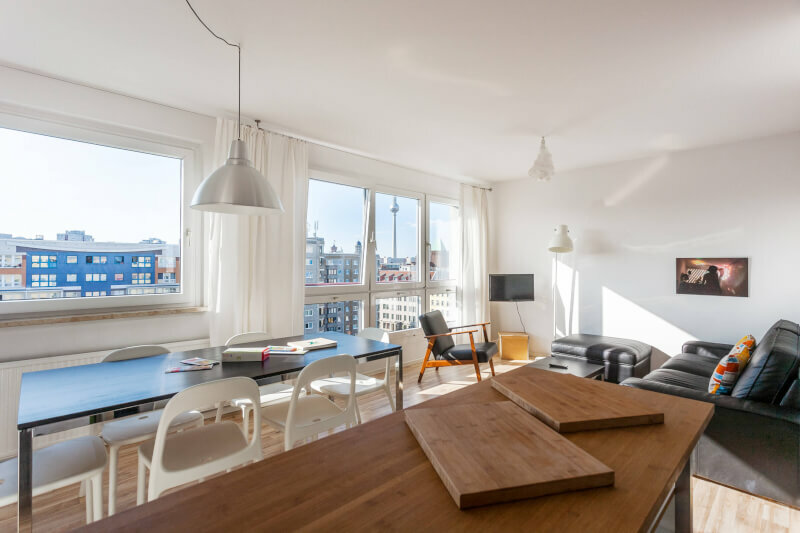 Eight of the apartments are near Alexanderplatz. Learn more about the apartments.